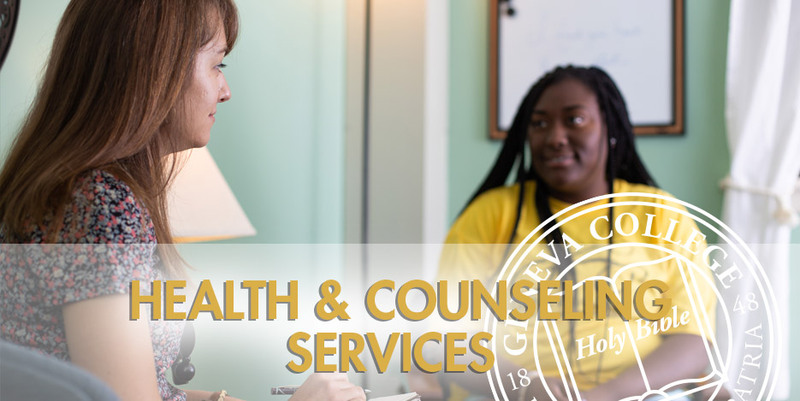 The Geneva College Health & Counseling Services team strives to glorify God and advance the mission of the college by promoting wholeness through modification or removal of emotional, physical, social, and spiritual related barriers to learning with the provision of quality, accessible care. The Health & Counseling Services Center is located in McKee Hall. Our main entrance is at the north end of the building. Students can schedule individual appointments with the Geneva counseling staff. Primary care services are provided for registered students by a Physician Assistant by scheduling an appointment.